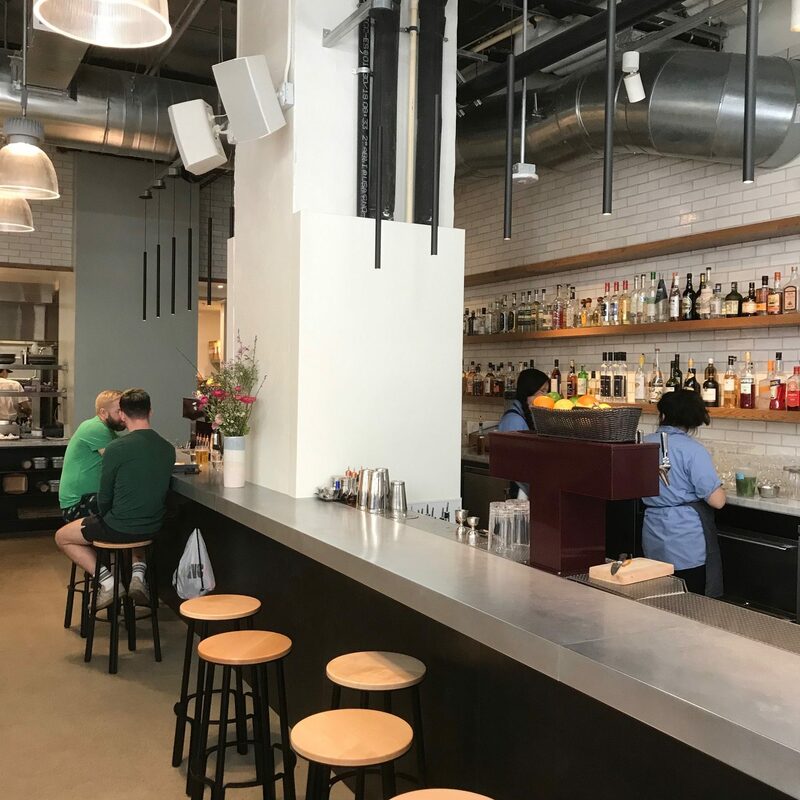 Tartine was on my restaurant bucket list since it opened the end of January. I enjoyed the San Francisco original and wanted to see how the transplant translated. We made the congested 10 freeway trek to a section of LA that was unknown to us. Upon arrival, we were surprised that the only way in was to park in public parking. 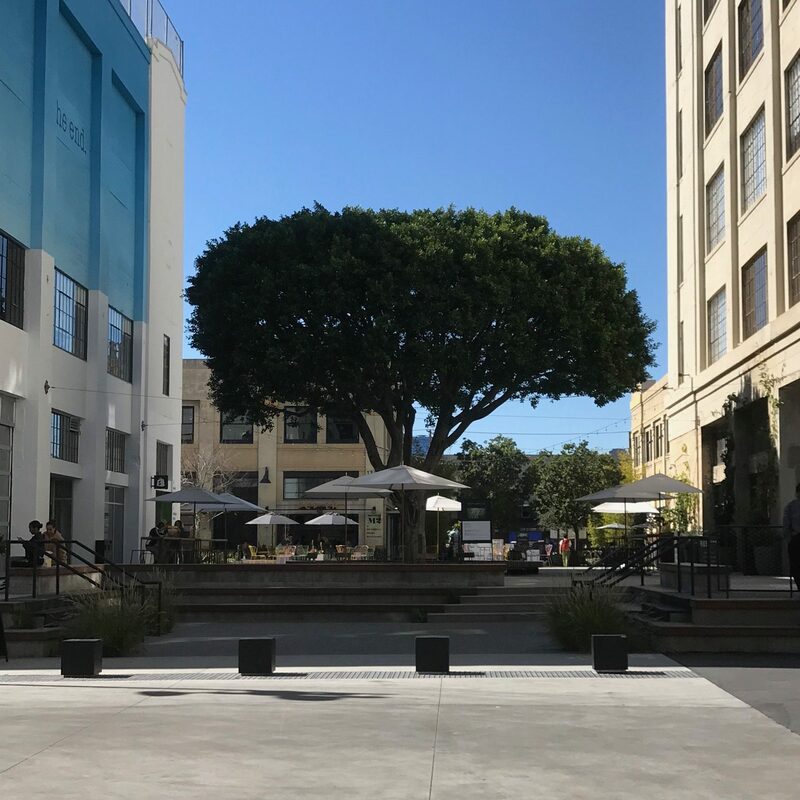 The area was a conglomeration of long connected rows of two story low rise buildings called The Row, navigated by pedestrian paths. 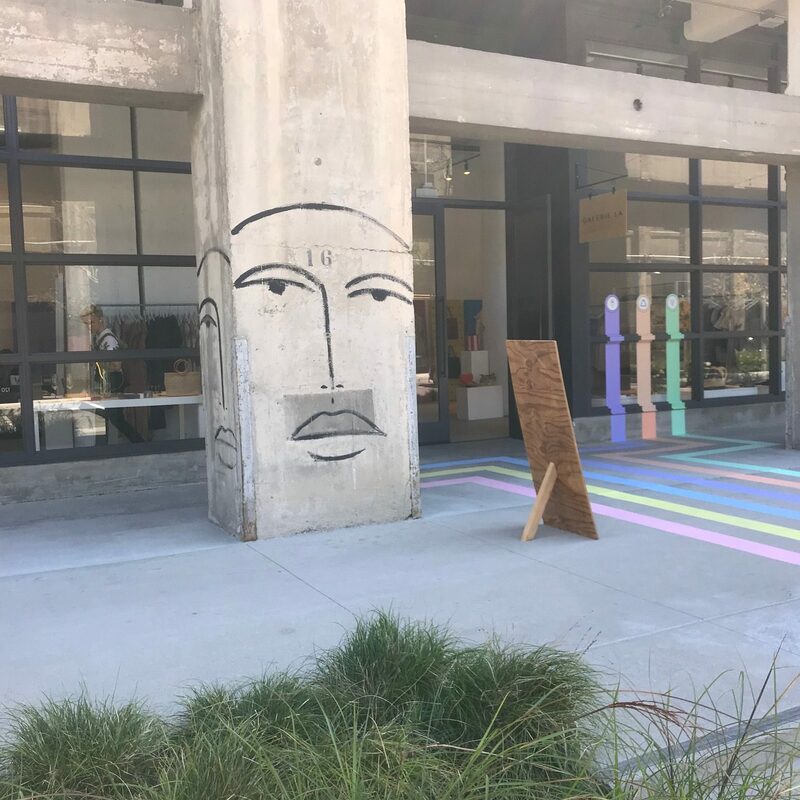 The area is the home of the former American Apparel factory which is connected to Row DTLA the historic Arts District 30-acre complex/mall including Tartine, business offices and curated retail stores. 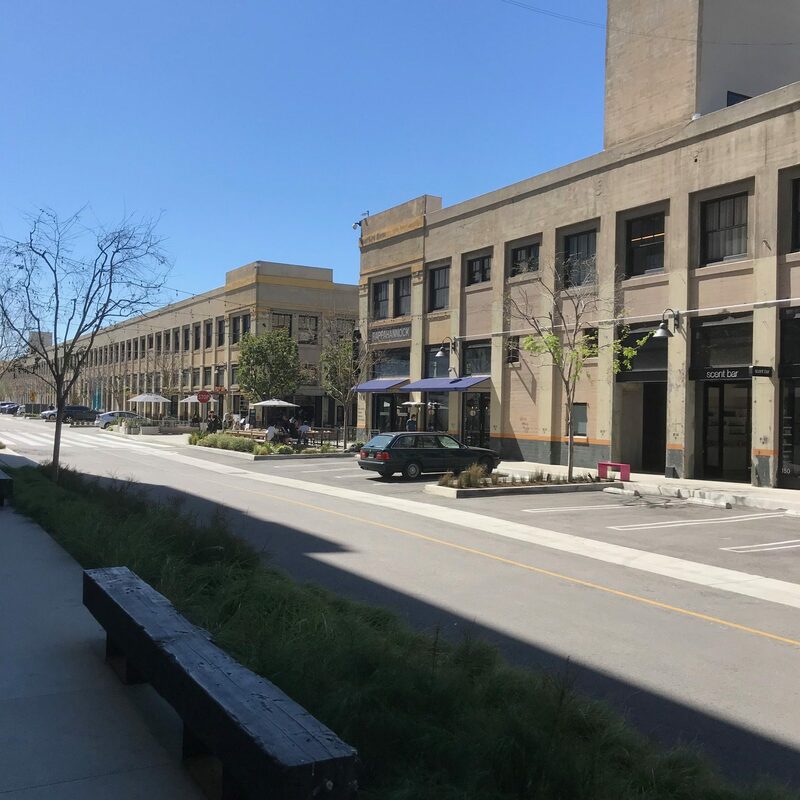 Tartine Manufactory, located in the middle of one of three buildings, spans 40,000 square feet. 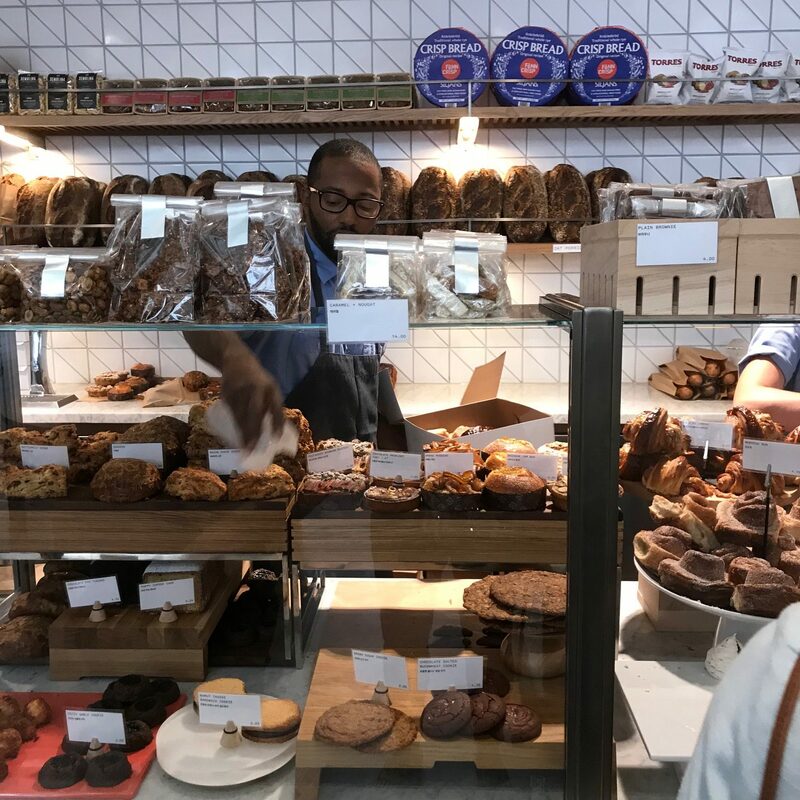 Tartine Market sells coffee, pastry, bread, as well as sandwiches, salads and hot food takeaways. 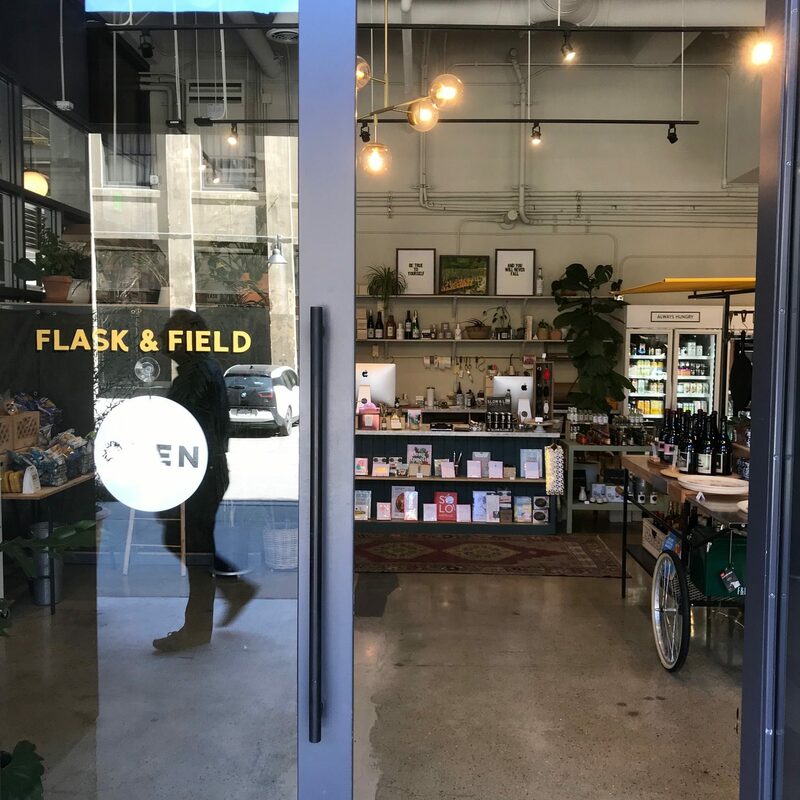 The Market is a 2,800 square foot space stocked with kitchen staples. 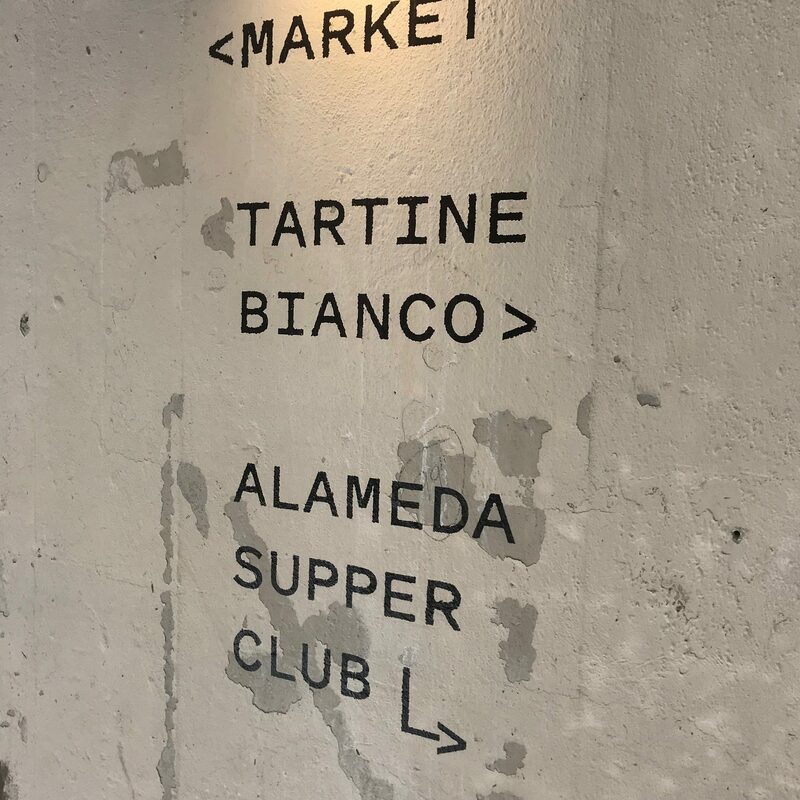 The Alameda Supper Club, the elevated dining establishment, is now open. 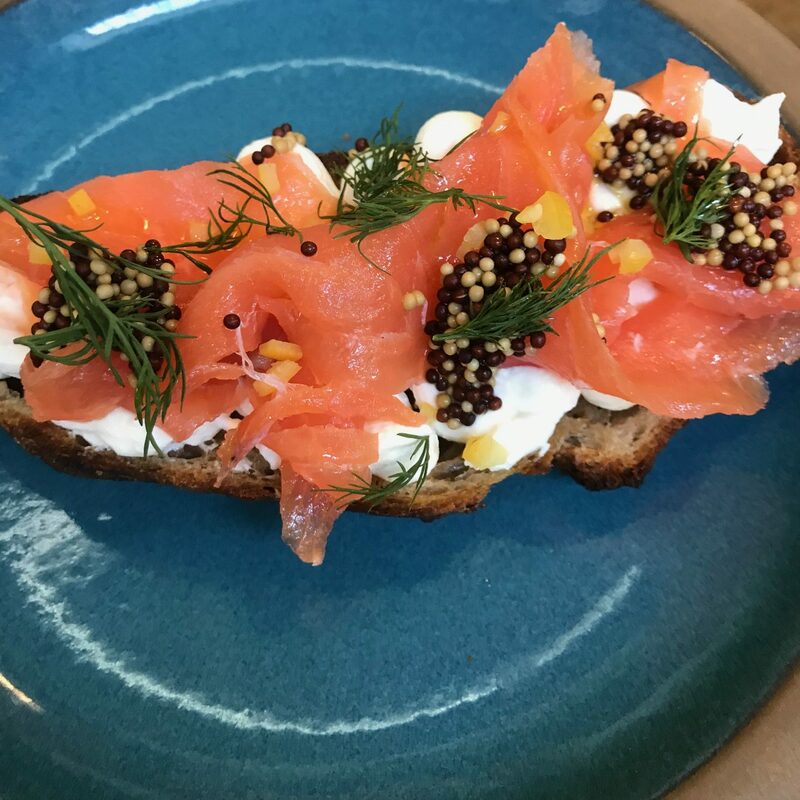 Plans are to open three more Tartine cafes in Silver Lake, Santa Monica and Hollywood. 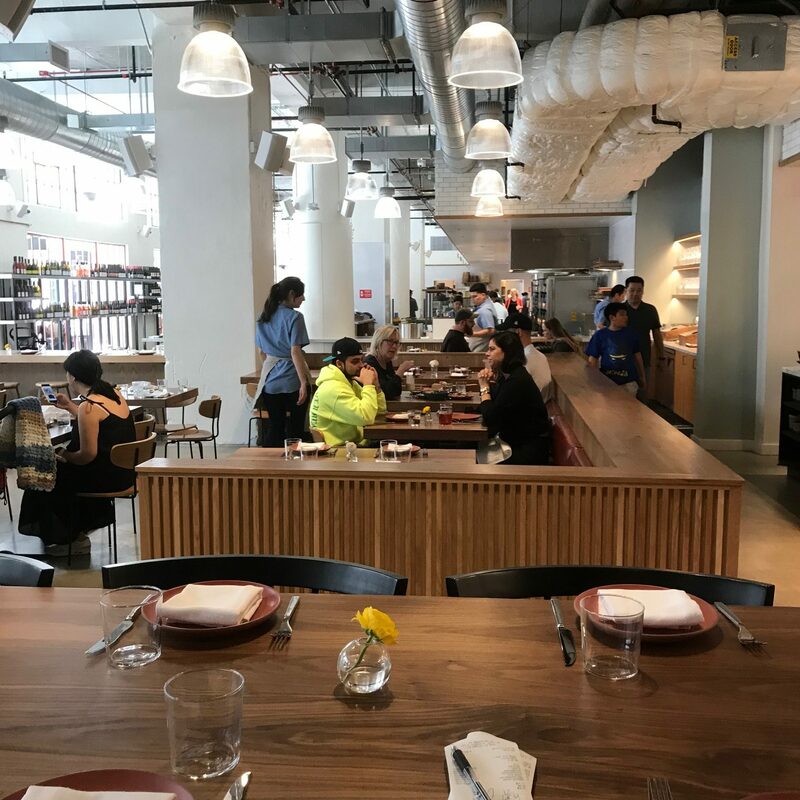 Tartine Manufactory (food done by hand) employs 300 along with a 19-person pastry team and a 7,000 square-foot bakery outfitted with nine ovens and a 6,000 square-foot subterranean coffee roastery. 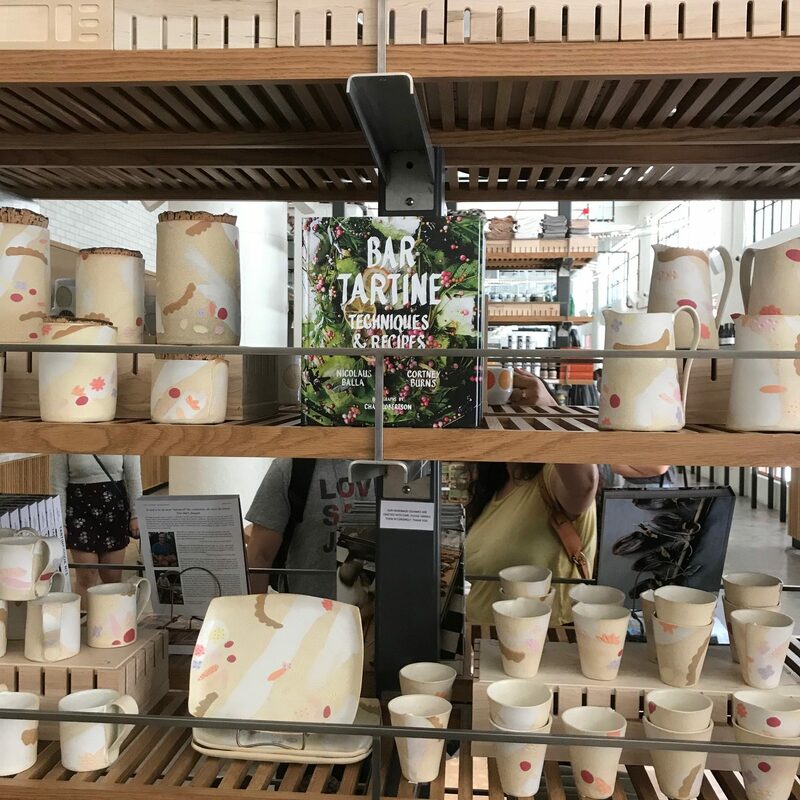 The Tartine international chain, which is also located in South Korea, is led by husband and wife chefs Elisabeth Prueitt and Chad Robertson who opened their first Tartine Bakery in San Francisco in 2002. They joined forces with Chris Bianco of Phoenix’s Pizzeria Bianco to open The Manufactory. 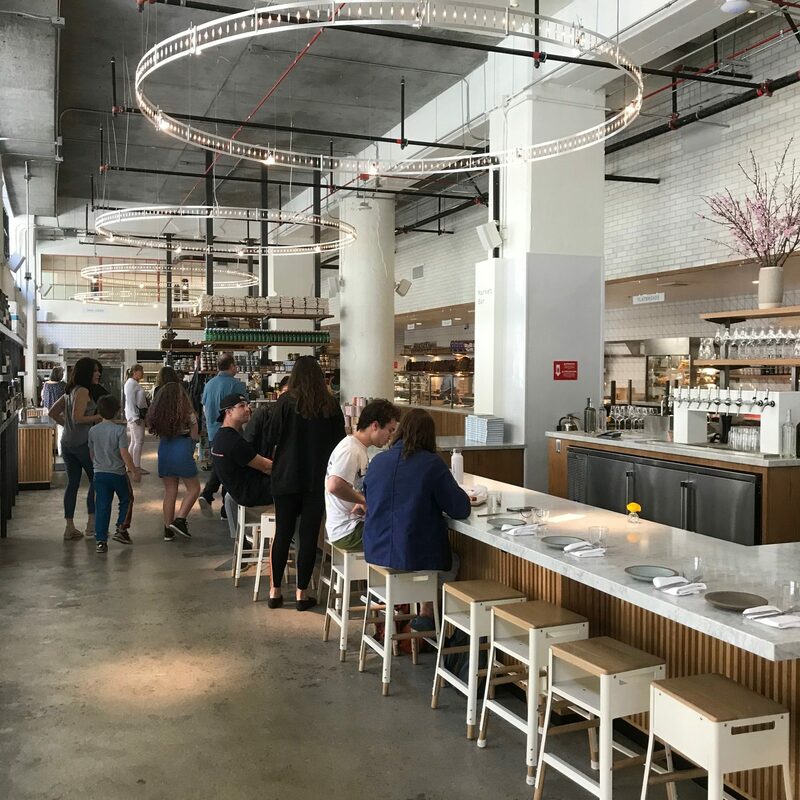 Tartine Bianco has an industrial look, clean lines, bright and very appealing with an open kitchen and seating indoors for over 100 as well as outside dining for 40. 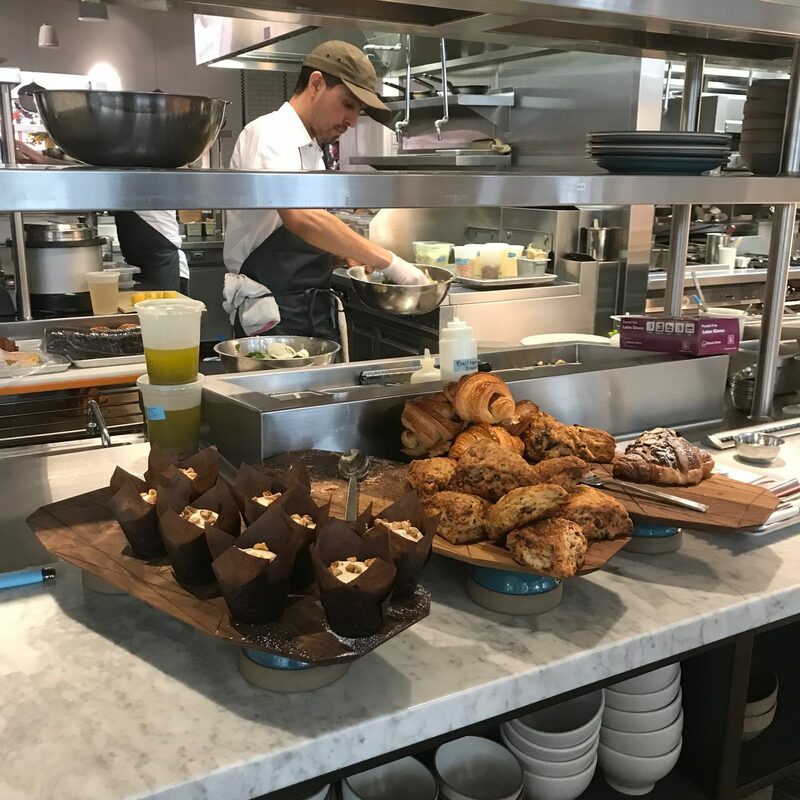 Brunch was amazing…straight forward, delicious food prepared with the finest ingredients. Our server, Kenny, was a joy and a real believer in everything Tartine. He was also well versed on all elements of the operation. I kicked the afternoon delight off with a lovely Aperol Spritz which went well with the scrumptious grilled cheese on incredible freshly baked country bread. 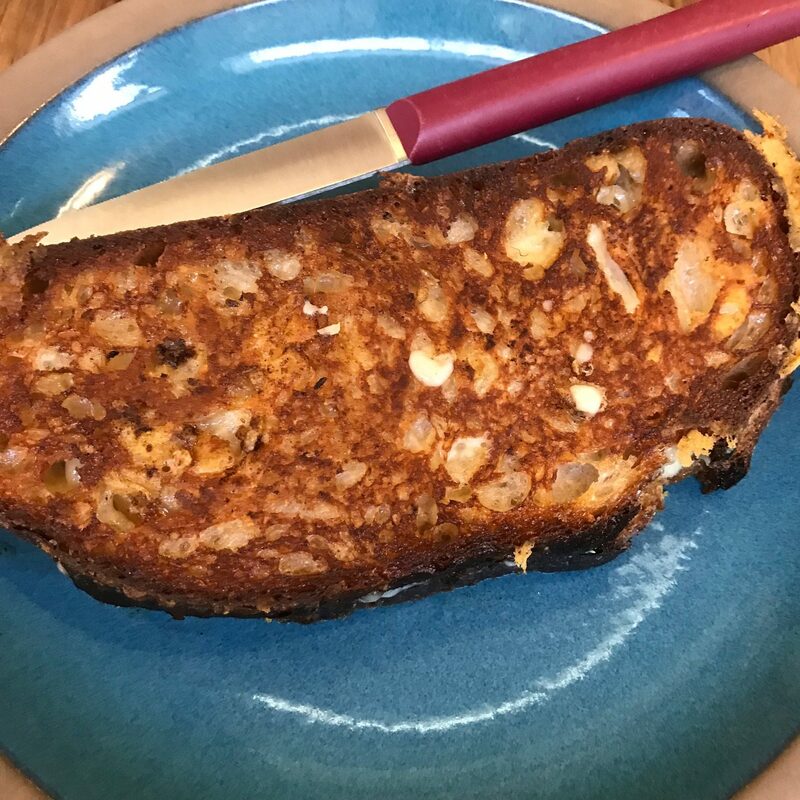 It was made with Ogleshield, a British cheese made with raw Jersey cow’s milk and Monterey cheddar ($15). The Egg Sandwich with bacon and cheddar was another treat ($13). The Patty Melt and Fried Chicken also looked stellar. 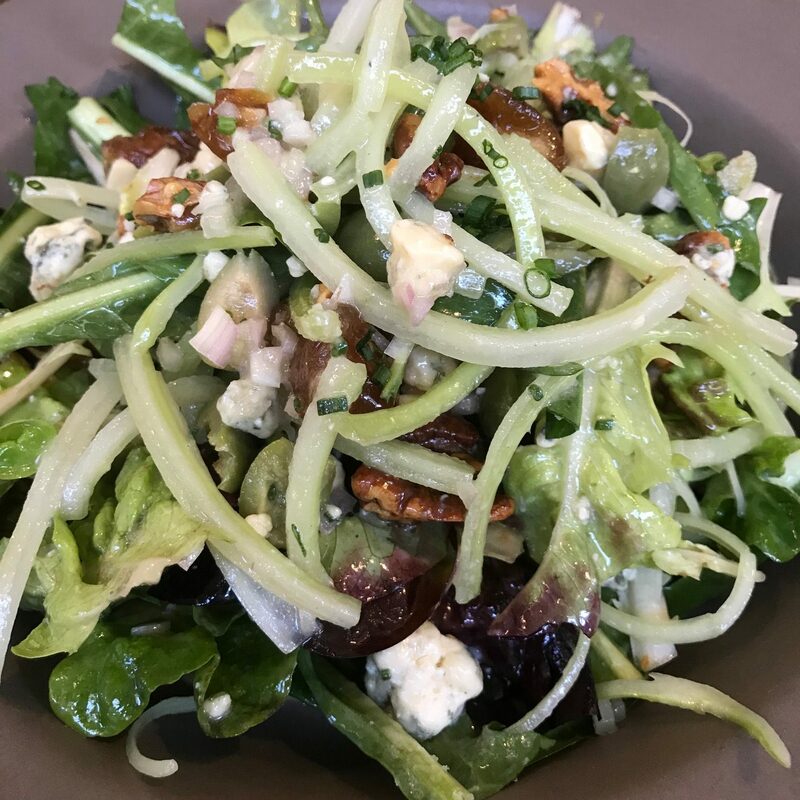 The Puntarelle Salad was outrageously delicious, generous and super fresh made with dates, creamy divine Stilton, imported olives, walnuts and chicory with a sherry vinaigrette ($16). The Toasts are perfection and the Smoked Salmon Tartine was off the charts with the salmon having a velvety quality enhanced by Zingerman’s Creamery (Zingerman’s Deli, Ann Arbor, Michigan) cream cheese which was the best I have ever enjoyed, adorned with pickled mustard seed, dill and preserved Mayer lemon zest ($16). 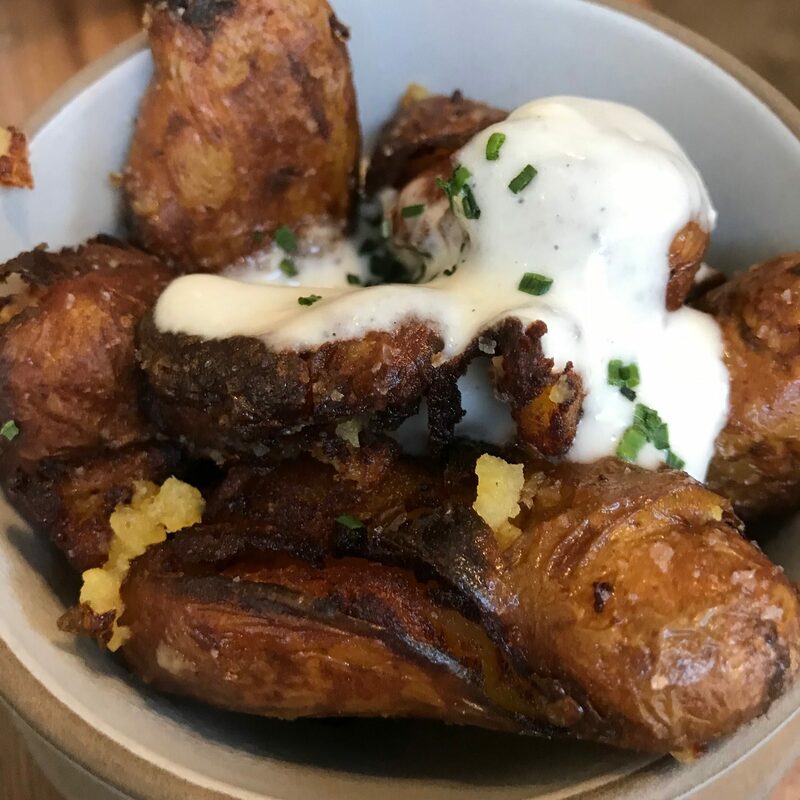 We also selected a side of Crispy Potatoes which were sweet potatoes enhanced by horseradish and creme fraiche ($8). Kenny then had two luscious desserts sent over. 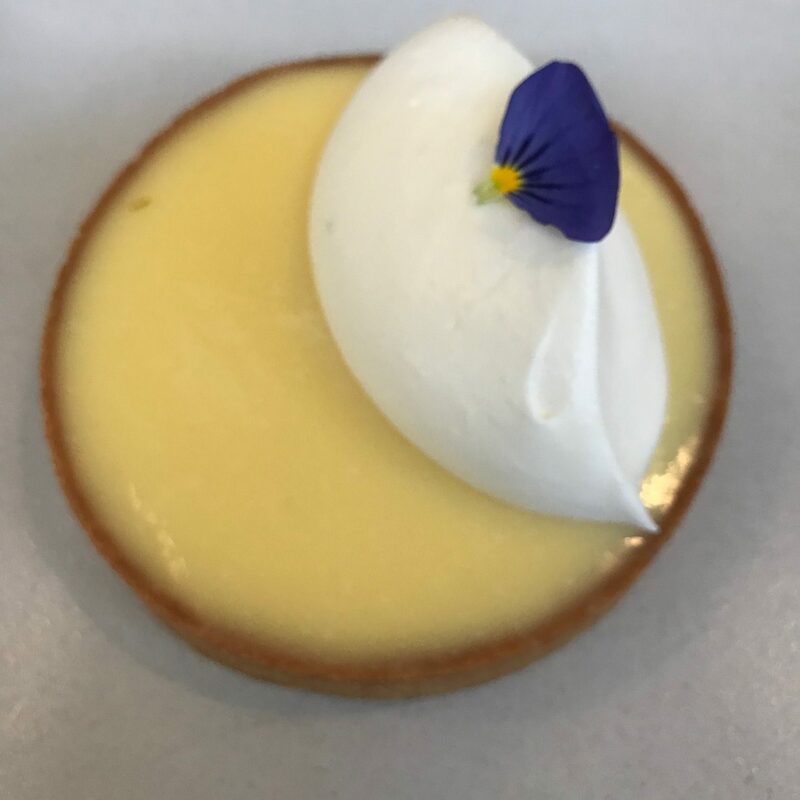 The Lemon Tart was exquisite, creamy and a just the right amount of tart, crowned with fresh whipped cream. 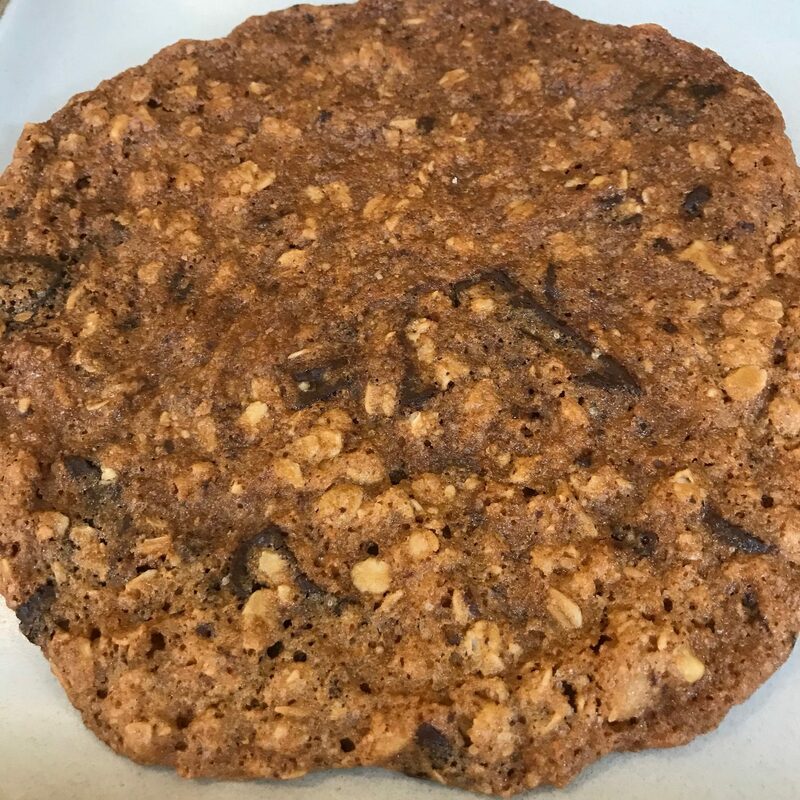 The Oatmeal and Chocolate Chip Cookie was also a real treat. We window shopped after brunch, satiated and very content. 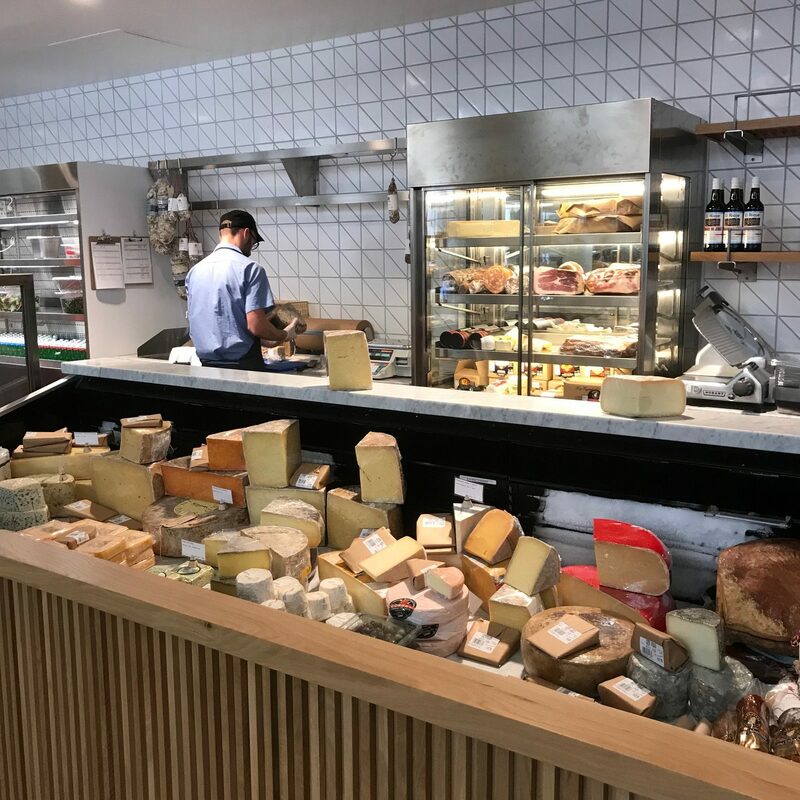 For a truly lovely morning, noon or evening interlude, get yourself to The Row, engage in retail therapy and indulge your tastebuds in a delectable repast at Tartine Bianco. Tartine Bianco Manufactory 757 South Alameda Street Suite 160 Los Angeles, California. Open Monday-Thursday and Sunday 7:30am-10pm. Friday and Saturday 7:30am-11pm. 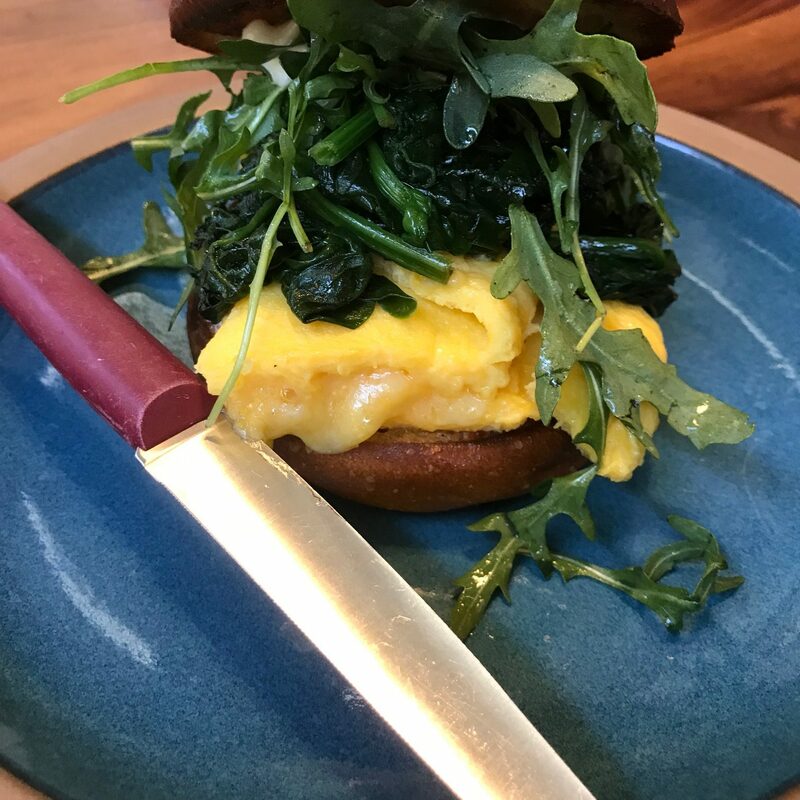 Brunch Saturday and Sunday 9am-4:30pm. Reservations on OpenTable.com. Validated 2 hour parking. Cashless restaurant and a 5% contribution is added on for kitchen staff to ensure competitive wages.